Similar to the Single Angle connection, the Single Seat connection uses the same L-bracket to join two members but is located at the flange of the child member. This connection provides a higher shear and bearing strength to the overall connection whilst keep its erection procedure relatively simple. 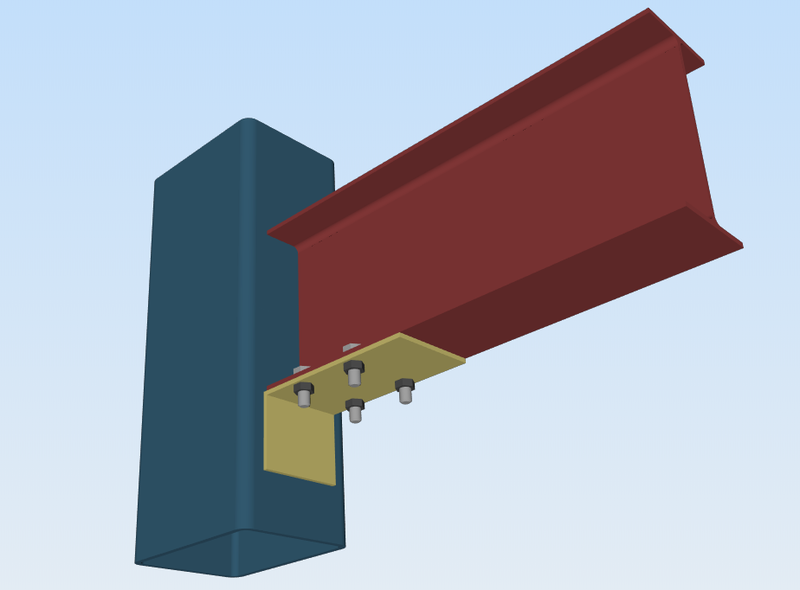 Similar to all the other shear connections, this connection can be welded or bolted on both the parent and child side. The Single Seat connection sometimes comes paired with a stability angle to offset the load needed to support the members. Bolt spacing should take into account the thickness of the web for child member.